Despite the financial difficulties they faced, and the seemingly endless delays, Skyfall, the 23rd James Bond film arrives in October, just in time for the 50th anniversary of the franchise. And, until now, it might have been the last to star Daniel Craig. 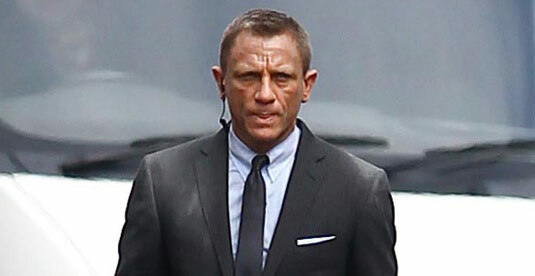 Not any longer, as Craig has extended his contract to include two more films, bringing him up to Bond 25. The assumption is, there will be a new Bond film every two years from this point out. I think that's a bit much, for both the franchise and the actors, but we'll use it as the minimum value. At this rate, Craig will be at least 48 years old when he (presumably) exits the role. That's only three years older then when Roger Moore made his first appearance as Bond. The others compare thusly: Connery was 53, Moore was 57, Dalton was 42, and Brosnan was 49 when they exited the series. Honestly, so long as they are able to keep up with the action (which Moore wasn't really able to, by the time he made A View to A Kill), their ages shouldn't really matter.